With generous support from the Ontario Trillium Foundation’s (OTF) Seed Grant program, the Somali Centre for Family Services (SCFS) enlisted the assistance of the Centre for Studies on Poverty and Social Citizenship (CSPSC) to undertake a Community-Based Participatory Needs Assessment to identify and address the barriers that prevent Somali Youth within the Ottawa area from seeking out and enrolling in post-secondary education or employment-related training. The research team included three Research Assistants from the Carleton University School of Social Work, Katherine Occhiuto, Tara McWinney, and Jennifer Colpitts, and two Research Assistants recruited by SCFS, Ahmed Hussein and Ismail Hagi-Aden, as well as Adje van de Sande, Chair of CSPSC, acting as Principal Investigator and Zoey Feder, Administrative Assistant of CSPSC, in a supporting role. Over the course of two weeks, the research team ran 4 focus groups to collect input from Somali youth regarding their own experiences in seeking out vocational training, and enrolling in college and university programs. 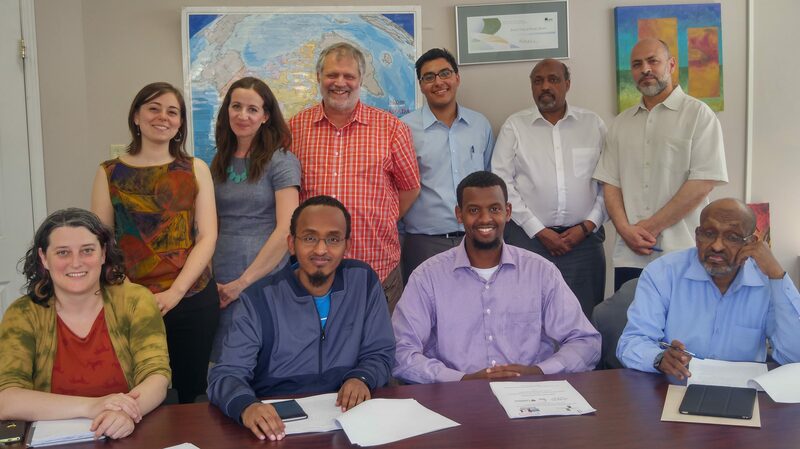 In carrying out this research, the SCFS’s main objective was to address social and economic exclusion locally by inviting Somali youth (age 19-30) from the Ottawa. The CSPSC Research Centre and the SCFS decided to using a community-based participatory approach to this research, where members of the Somali Centre and Muslim Community would participate on an advisory committee and where youth from the Somali Community would be directly involved in all phases of the research. A Need for Somali Youth Mentors.